"Playing Halo Has Now Become a New Kind of Reality"
Microsoft Studies and 343 Industries recently announced an agreement to develop a reality-based competition eSports series based on the Halo game series, according to published reports this week. Pilgrim Media Group will produce the show, which is expected to feature players from the ESL video game league. This will be the first project from a media collaboration between Pilgrim Media Group, Lionsgate Entertainment, and video-game league ESL. Lionsgate made an equity investment in Pilgrim Media in 2016, with the intentions of creating and distributing original eSports content through television and digital media platform. The video game Halo 5: Guardians, which is set in a futuristic war zone during the year 2558, will be the focus of the new reality show. The immensely popular game was originally released on October 27, 2015. As described on its website the C0logne, Germany-based ESL is the world's largest eSports company. ESL began operations in 2000 and currently has offices in North America, Germany, Russia, France, Poland, Spain, China, and partners in many other countries. 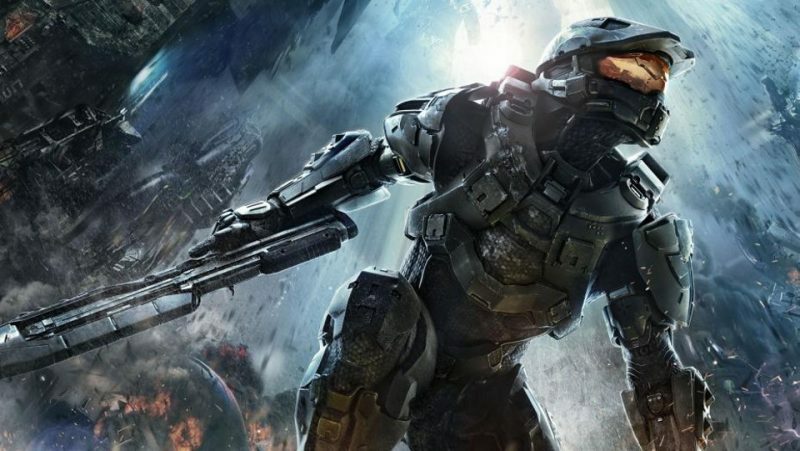 According to Variety, since first launching in 2001, the Halo franchise has generated more than $5 billion in worldwide sales to date. According to 343 Industries, eSports was intended to be a key pillar of Halo 5: Guardians. The game has been featured in the the Halo World Championship and the Halo Championship Series, where top international teams compete on a weekly basis. “We continue to be blown away by the sheer excitement surrounding eSports,” explained Craig Piligian, CEO of Pilgrim Media Group. “eSports and Halo fans are exceedingly passionate about gaming and devoted to their favorite titles and franchises - they are exactly the kind of audience we want to produce for.” "The reality series will bring the intensity and extreme competition of Halo 5: Guardians eSports to a television audience." added Kiki Wolfkill of 343 Industries. "There is no better partner than Pilgrim to give our fans insight into the world of Halo eSports.” As a competitive activity, eSports has been a fast-growing and exceedingly popular pastime for video-game fans worldwide. The segment is projected to generate $493 million in revenue for 2016, growing to $1.1 billion by 2019, according to research firm NewZoo and reported by Variety. The number of eSports enthusiasts is expected to grow from 148 million this year to 345 million by 2019, NewZoo also predicts. No announcement has yet been made about an expected premiere date or any television or digital distribution rights agreements lined up for the new show. I am a freelance writer, independent scholar, and educational consultant. I am of course a television critic for Entertainment Fuse, but I also conduct author interviews on a podcast channel for New Books Network, and write monthly articles for Texas Diversity Magazine. Houston, TX is where I call home.